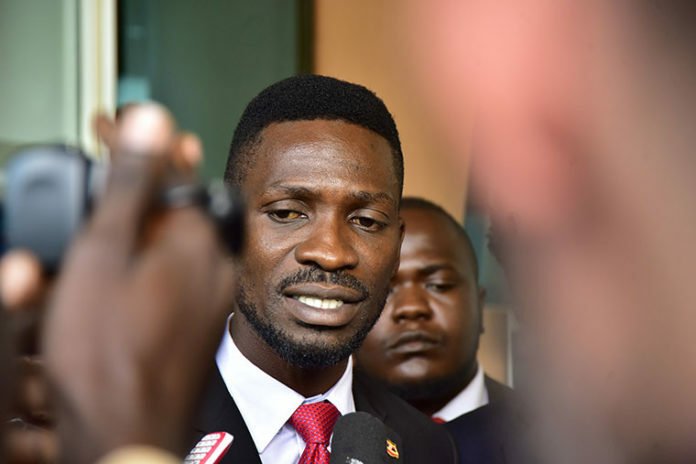 Home News Human rights activists visit Bobi Wine, Zaake referred to Rubaga hospital. Human rights activists visit Bobi Wine, Zaake referred to Rubaga hospital. Zaake and Bobi Wine are among the opposition MPs who were arrested on the eve of the voting in Arua Municipality by-election after Kassiano Wadri’s supporters pelted stones on the presidential convoy and broke the rear windscreen of one of the president’s car. The latest news in Uganda indicates that the Mityana Municipality MP Francis Zaake has been transferred to Rubaga Hospital for further treatment. Zaake reportedly fell ill after his arrest and has been receiving treatment in an unknown hospital. According to Makindye West MP Allan Ssewanyana who accessed Zaake in hospital, the MP is currently receiving treatment at Rubaga where he was transferred last night by security officials. “He was dropped and abandoned here at Rubaga Hospital. His health condition is not good and we need to pray for him,” Ssewanyana said in a video he recorded. 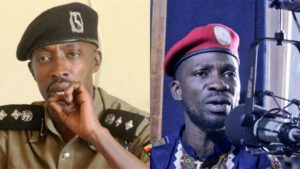 Zaake is the only suspect who has not been arraigned before Court after his colleagues; Kyadondo East MP Robert Kyagulanyi aka Bobi Wine, Arua Municipality MP elect, Kassiano Wadri, Ntungamo Municipality MP Gerald Karuhanga, Jinja East MP Paul Mwiru and others were on Thursday charged. Bobi Wine who is currently remanded at Makindye Military Barracks was charged with illegal possession of firearms in his room at Pacific Hotel in Arua. Meanwhile, officials from Uganda Human Rights Commission (UHRC) led by Chairperson, Medi Kaggwa this morning visited Bobi at Makindye Barracks. The human rights activists’ team was flanked by Lord Mayor Erias Lukwago. At the same time, opposition MPs led by LoP Betty Aol were blocked by security from accessing the MP. Apparently, he has been transfered from Rubaga to Nakasero Hospital as relatives plan to fly him abroad for further treatment.